Artz Road Studio will be featuring selections from Brian Dailey’s Impressions of Africa Redux. 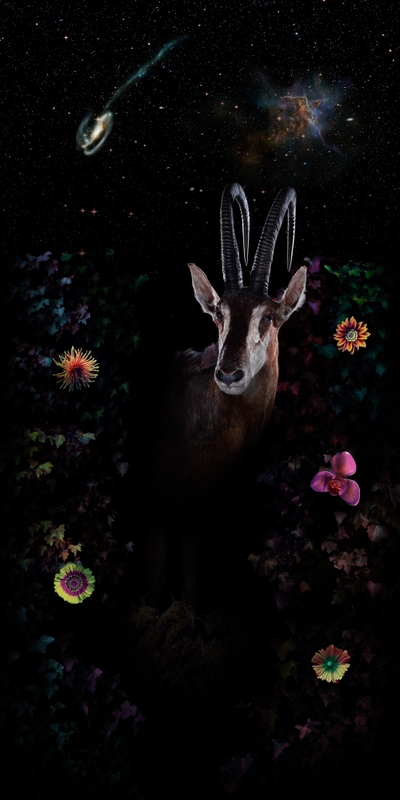 Mounted on plexiglass and dramatically backlit, the five-foot tall composite photographic images of enigmatic wild creatures enveloped by intricate scenes have a surreal quality. Elaborate environments, swirling cosmological forms, and intensity of lighting effects animate the works.